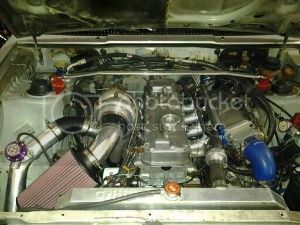 New Mpi manifold made by Gato. Most G54b powered cars that have gone beyond the 10 sec 1/4 mark run these. 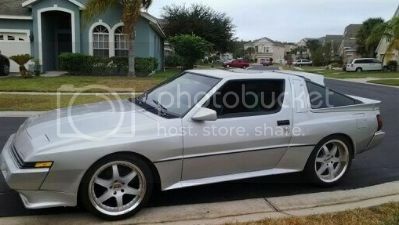 I have one on my daily driven Starion. damnit, why did i spend my tax refund already!! Size of TB? Looks bigger than 65mm. 70 or 75mm? And what 1/4 mile time have you gotten with your setup (which looks immaculate might I add)? Thanks. 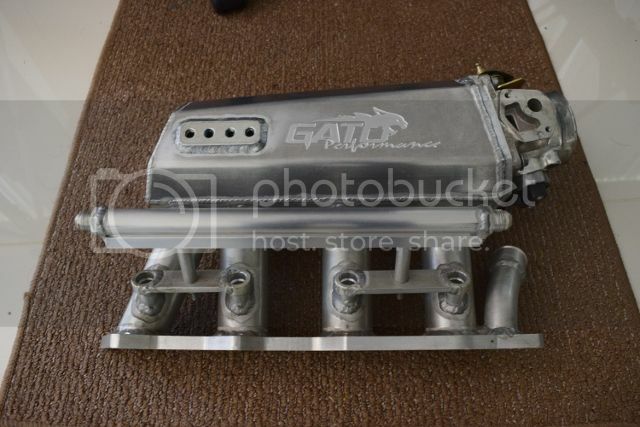 Its a 70mm throttle body. The plenum can take up to a 80mm TB. I've only taken my car to the 1/8 mile track...and it did mid 8s, It's nothing to brag about considerning the stock trans as a limiting factor. 4cylfury and a few others have push their cars beyond the 9 sec mark with this manifold. Its A/C compressor friendly as well.